The Applied Comfort 16 was designed as a direct replacement for the American Air Filter/Nelsonaire Series 16 PTAC. Sleeve sizes for the Series 16 were either 37 1/2" or 41 1/2" wide and 16" high. Currently the Applied Comfort 16 units are available in 9, 12, or 15000 BTU cooling with electric or hydronic heat. Heat pump units are planned for the future. 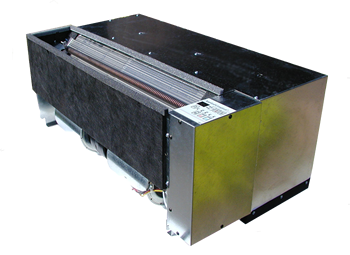 All units feature R410A and have been engineered for maximum efficiency. All models are submitted to third party testing labs to ensure the highest level of safety and performance. You will appreciate the quality and attention to detail, as well as the price tag compared to the alternatives. The Applied Comfort 16 can also be used to replace the various Type 45 PTAC units with the addition of a simple kit. The kit details can be found below.